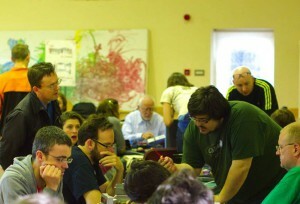 Repair Cafe returns to Sandymount on Saturday 7th of March 2:00pm – 5:00pm. The event were expert volunteers help you repair everyday items and talk you through the process. The event is totally free. Bring along your broken items and learn how to fix them alongside expert volunteers…. anything from stereos to suitcases, lamps to laptops, chairs to chinos and plates to parasols. TOG will be making up part of the team of volunteers on the day. The event takes place in Christchurch Hall, Sandymount. This was written by tdr. Posted on Wednesday, February 25, 2015, at 10:55 am. Filed under Workshops/Events. Bookmark the permalink. Follow comments here with the RSS feed. Post a comment or leave a trackback.